What if I told you that you have the exact same ‘powers’ within you as the character in the Bible Jesus Christ once did? If you look at his teachings carefully, you’ll see that Jesus was in fact a Son of ‘God’ and channelled ‘God’ through himself. However, many Christians believe Jesus was the only son of God, which isn’t true. God is simply all that is, consciousness, source, oneness etc. It’s what everything is made up of. It’s not a higher power, it IS us. Thus, you too possess the same “God-like” capabilities as Jesus, and everyone else. Christ consciousness is essentially another term for enlightenment. 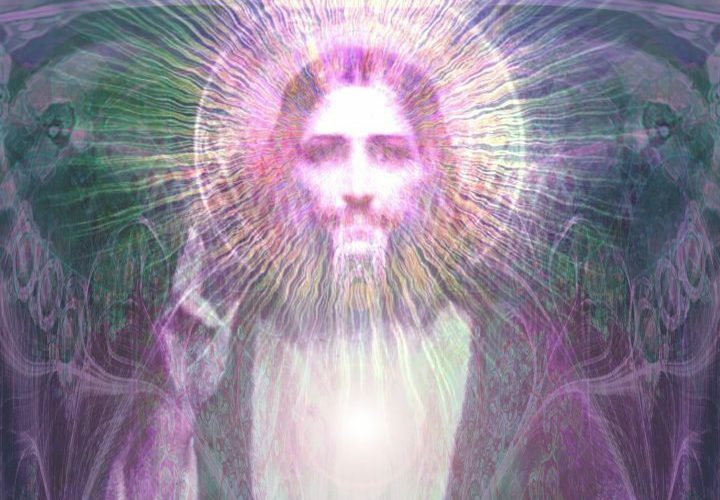 It is the state of finding the universal truth by completing the Ascension process, in the same way Jesus Christ once did. While the biblical version of Jesus is likely not true to form, since many of the stories were copied from thousand year old stories, it’s likely he still existed, and was a great teacher for people. According to the teaching’s of Patanjali, Christ consciousness, or Samadhi, is the final step of the eight limbs of yoga. It can be achieved through the other seven limbs, including meditation and complete withdrawal from the senses, which is referred to as Pratyahara. Well, Descartes once said, “I think therefore I am,” but I promise, if you silence your mind, you still exist. We know that our thoughts don’t make us who we are, so couldn’t the same be said for our senses? If you’re blind or deaf, are you still you? The senses don’t make you you because it’s what lies within that truly defines us. Simply put, the true essence of your being cannot be seen, touched, heard, tasted, or smelled because these are all third dimensional qualities. You’re a soul that incarnated into your body to have a human experience. Jesus Christ realized this and tried to share it with the masses. However, the third dimensional reality has numerous distractions that encourage us to look anywhere but within for our answers, which is exactly what many people did when they discovered Jesus’ powers, the same way that many people still do with religion. People started to praise him and still do, considering him somewhat of a deity and referring to him as the Son of God. This isn’t wrong; Jesus is God because we are all God. Yes, you were created by God, but for that same reason you are God. You don’t need to look upwards to pray, but rather inwards. Jesus discovered this by connecting with the Divine, the same way we all can, too. Numerous spiritual teachers today, like Eckhart Tolle, Deepak Chopra, and so on, encourage us to recognize the truth about religions. They’re not as different as they seem, as they all encourage us to look inward and find the universal truth of our inherent divinity. Religions clearly prove that most of the global population want to believe there’s something more than what we see in the third dimension. Religion can provide people with hope that there’s divinity outside this realm, and that’s beautiful; however, real divinity also lies within us. It’s when we start to let go of rigidity and disempowerment within religion that creates division and superiority that often feeds our egos, and instead recognize the basic teachings in all religions that can assist us in connecting. We’ll get into some interesting notes about the Bible below, but first lets jump into some quotes. The “me” Jesus referred to isn’t himself, but rather the Self within you. You don’t find God through Jesus, you find God within yourself. This is precisely what Jesus Christ did and what you can do, too, and this theme can be found all throughout the Bible. John 10:30 reads: “I and the Father are one.” Ephesians 4:6 reads: “One God and Father of all, who is over all and through all and in all.” You are one with Source and one with all of your surroundings. In Matthew 16: 24, Jesus says: “If anyone wants to become my followers, let them deny themselves and take up their cross and follow me.” When Jesus told the people to “deny themselves,” he was referring to the illusion of the Self, or the ego. You are not your physical body, but rather the soul within. By denying it, you can access the real Self, the Christ consciousness. St. Paul’s understanding of the image of the cross in Galatians 2:20 reads: “I have been crucified with Christ; it is no longer I who live, but Christ who lives in me.” St. Paul probably grasped Christ consciousness, understanding that once enlightenment occurs there is no divisive sense of self but rather an intense connection to all beings and the Divine. The cross is merely a symbol of the human experience, one that is used in many religions, of the figurative death we endure when we abandon the ego, which then resurrects us and awakens us to our true Self, the Divine within. It’s important to note that it’s been speculated that a lot of information was deliberately omitted from the Bible or influenced by higher ups in the church. It’s difficult to verify whether or not some of the quotes in the Bible were even from Jesus himself or if they were strategically added or edited by leaders at the time, specifically the Council of Nicea, to disempower their followers. After all, if people realized that Jesus was simply preaching unconditional love and encouraging others to access the divine powers we hold within, how could the church continue to rule the people? Many believe that much of the language within the Bible that refers to the nature of Jesus’ relationship to God was actually created by Constantine, who took power over the Roman Empire in A.D. 306, and the Council of Nicea. The Council of Nicea essentially decided to call Jesus THE son of God as opposed to simply a song of God. It was the council that decided to create this divide, not Jesus himself. How Can Christ Consciousness Occur In the Masses? When you take a look at some of the overarching systems that influence society, like religion and government, it’s clear we wish to be led. There’s nothing necessarily wrong with this, as a good leader or mentor can help us accomplish great things. But when it comes to spirituality, I think that many of us use leaders to distract us from our true spiritual nature. This obviously plays a huge role in the Christian faith, as practitioners look to an illusory God figure for the answers instead of within. However, this can be seen throughout all religions and even within New Age spirituality. Many people look up to monks and enlightened beings, seeking answers through them rather than through the Self. Within the New Age community, many people who feel that they’re on the path toward enlightenment may use spirituality to create division between themselves and those they feel are “less spiritual” than them. It’s clear that the true enemy here is division, that which we are not. Division plays such a prominent role in society, whether that be as a result of politics, the media, religion, the ego, or whatever else. If we want to reach Christ consciousness, we need to see through the illusion of separatism. Another way to help trigger the Ascension process is through information disclosure and knowledge. 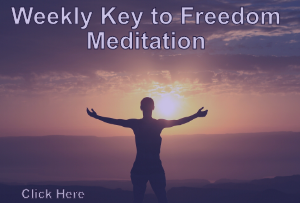 It is said that our DNA is like a library full of information waiting to be unlocked, which can be obtained through meditation or through the physical realm. Being fully conscious of your surroundings and yourself will raise your vibration and, through the law of attraction, allow you to come into knowledge when you’re ready for it. Many of us may have different definitions of enlightenment and Christ consciousness and that’s perfectly fine. Using Earthly words to describe something so divine is a tall order anyway. Not everyone will attain Christ consciousness during this lifetime either, and that’s okay, too. We all incarnate here for different purposes. There’s no “one path toward enlightenment,” so there’s no point in worrying whether or not you’ll experience enlightenment during this lifetime. However, odds are that if you’re reading this article, you’re already on your way! Not Yahweh, God, Jehova… I AM sent you! Pranam, Namastey, thank you from within the temple of heart and soul. Victory of the light love and peace forever more. If you want to expand in the posting above, Please read” christhasreturned.weebly.com You will be some amazed with the wisdom, it will change the way you see the world and life itself! Wonderful! Thank you for another excellent, informative article!